When discussing gold and silver, a historical perspective is always desirable. Gold has served as money for some 2,600 years, from ancient Hebrew times up until 1933, when the U.S. withdrew gold coins from circulation. Gold has always been desirable for its beauty, rarity, and its resistance to tarnish and corrosion. Kings throughout history have accumulated gold. King Solomon acquired gold, and the “Wise Men” brought gold to Jesus Christ. The quality and value of gold has been trusted like no other commodity. Unlike the history of numerous currencies that have come and gone, there has never been a time when gold wasn’t valuable. All substitutes for gold have led to monetary crisis. Many kingdoms and empires which became pages in history books followed the same pattern of monetary debasement. First, gold is removed from coinage, then silver, leaving copper coins at best. Paper money is the worst form of debasement. Sir Thomas Gresham in 1558 made the classic observation, “Bad money drives out good money.” The money becomes virtually worthless; and once the delusion becomes a reality, panic results in monetary disaster. Germany is a classic example, among many. Greenbacks were issued in the 1860’s as an expedient to finance the Civil War, but inflation soared and gold and silver went into hiding. 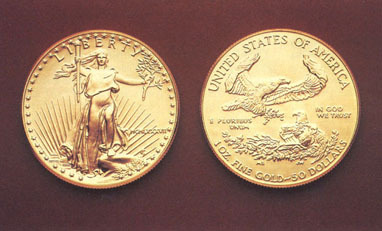 The “Panic of ’93″ resulted in greenbacks being redeemed for gold. In 1932, greenbacks were distrusted and redemption was so great that the Philadelphia mint struck a record 4,463,000 ten-dollar gold coins. The people were acting to protect themselves against false values and government mismanagement. False values in the 1929 stock market crash proved paper assets could not be trusted. On March 6, 1933, the U.S. government stopped exchanging gold for dollars (ironically, Adolph Hitler came into power the same day). The reason for demonetizing gold is to expand the money supply in an attempt to increase productivity and wealth. But wealth cannot be printed. In all cases, an expanding money supply leads to inflation, depreciating the currency. The results are rising prices. The products are not changing value, only the currency! Eventually all monies other than gold become worthless or greatly depreciate. So why do governments abandon gold? Because goods and services can be acquired at the cost of paper and ink! The government produces nothing but war, waste, greed and debt! The government survives because it gives so much of what it doesn’t own. The bureaucrats penalize producers and reward consumers by acting as a distribution center. The government must continually expand taxes, licenses, fees, permits, duties, etc., to finance its give-away programs (and being so generous assures re-election); and if that doesn’t cover the cost, then it runs deficits, borrows money from the Federal Reserve, and sells the debt to the public! The process works as long as there is productivity and confidence in paper money. But sooner or later, productivity declines, inflation soars, the value of the currency plummets, and confidence is shaken. Years of government expansion adds to the cost of productivity through higher taxes, rules, regulations, fees, permits, etc., forcing businesses to close and fueling inflation. And government debt keeps interest rates high, adding to the cost of doing business. It is ironic that high interest rates make the dollar strong; when in reality it penalizes productivity, the solid backing for the currency! Today the dollar is worth less than ever. The reason there is a federal debt (or state debt) is that there are too many people getting something for nothing! And deficits are a major contributor to inflation. How much longer can the government print “prosperity” before hyperinflation results? Or, will the U.S. debt bomb explode first? Total internal U.S. debt can never be paid. Stocks, bonds, life insurance policies and pension plans all could be wiped out! When money is created out of nothing, it can return to nothing! Gold is still the world’s greatest monetary asset, and central banks hold nearly a third of their assets in gold, because paper assets cannot be trusted. A sudden lack of confidence is the cause of all monetary crises. Higher interest rates can keep a crisis in check, as greed rules over fear. But eventually a debt crisis will lead to a dollar crisis. At some point, confidence in debt will deteriorate, and the Treasury may no longer be able to sell bonds and T-bills, constituting default, and the “full faith and credit” of the U.S. Government will end, and panic will beset the dollar. Panic debt liquidation is the greatest fear. The 21st century will see more inflation, more debt, and a weaker dollar. Gold is protection from governments who ultimately run massive deficits, create inflation, devalue the currency, all ending in default and bankruptcies. The value of gold remains stable regardless of inflation or deflation. In an unstable world with depreciating paper assets, gold is still the world’s greatest monetary asset! About Gold, History of Gold, What About Gold? As the earth cooled into a planet, the high specific gravity of gold placed it in the earth’s mantle. Specific gravity is the mass of gold compared to the mass of the same volume of water, or 19.3 times heavier than water. The mantle is the inner layer of molten rock, below the continents and ocean floors. The continents have been moving around over the earth’s mantle for geological ages. At the end of the Cretaceous Period, 65 million years ago, the molten material began to boil and churn in circular currents. As the continents were moved about by the tectonic forces generated by the movement of the molten mantle, there were places where this molten material was pushed up to the surface. With it came the heavy metals, including gold, which was deposited very often in veins in faulted rock or as replacements of other minerals. The minerals that are usually associated with gold are quartz and the heavy metals. Over the course of geologic time, these veins of gold-bearing rock were exposed to weathering and the gold was eroded and transported by moving water. Gold exists more or less evenly dispersed, with exceptions, in the crystallized rocks of the continents and major islands. Some of the notable exceptions of interest to students of the ancient world are abundant deposits in present day Hungary, Germany, the Ural Mountains of Russia, northern Spain, northern India, Ceylon, Senegal, the area around the Second Cataract of the Nile, the western coast of Africa and the shores of the Arabian Sea. Important places without native gold include the Tigris/Euphrates Valley, Cyprus and Mesopotamia. Gold does not form chemical compounds easily, and therefore it is usually found almost pure in nature. The other heavy metals quickly decompose into compounds that are then dissolved away as they are exposed to weathering. The most common impurities in native gold are trace amounts of silver, copper, zinc, and lead. Native gold is gold as it is found, before any refining. Gold is often found as a by-product of the mining of these other heavy metals. The earth is being constantly worn down by weathering forces such as rain, wind, freezing, thawing and plant roots. For millions of years these agents of change have been mining gold and depositing it into alluvial deposits. An alluvial gold deposit is a concentration of gold that is put in place by the natural action of the flow of water, where the heavy gold settles out of the moving water, while lighter material like quartz is washed farther downstream. 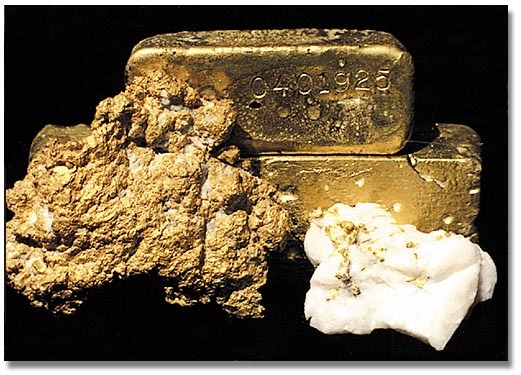 Because gold does not decompose like silver when exposed to the elements, alluvial gold deposits have accumulated for millions of years. Cro-Magnon burial sites in southern Europe show that the first gold miners were probably these earliest Homo Sapiens. Gold nuggets were used as adornment and possibly had mythical significance. The gold from millions of years of alluvial deposition was waiting to be found. These early people could pick up a nugget, appreciate its beauty, with the color of the sun, and feel its weight. Would you throw it back in the water? The sun was one of the mystical entities of these cultures, worshiped for its gifts of warmth and life. A golden nugget could offer the finder the color and warmth of the sun, and, by association, its powers. Gold is found as dust, flakes, nuggets, crystals and often branching crystal formations that resemble the structure of ferns. Ancient peoples that found these fern-like crystals of gold held to a universal belief that gold grew as a plant in the rock. These early miners believed that gold deposits should be left with some gold still there to act as the seed that would allow the gold to replenish itself. This belief was held as late as the sixteenth century. MYTHOLOGY and the GOLDEN AGEPlato, in the fifth century B.C., explained away the rarity of gold in his time as a punishment by Zeus for man’s evil ways. The first age of man, before the flood, was an age of innocence and happiness where truth and right prevailed. In Greek mythology, this was the Golden Age. The forests had not been robbed of trees and the stones of the earth had not been piled up to build fortifications against other men. The change from the harsh existence of hunter-gatherer to farmer provided a predictable food supply. Men were free of seasonal famine. But men were not satisfied with what the surface of the earth offered and began to dig into the bowels of the earth for metals. Mischievous iron, and more mischievous gold, were produced. War sprang up. Cadmus is a character in Greek mythology who is identified also as a real king of Phoenicia. He sowed the dragon’s teeth, which brought forth a crop of armed men. However, he also brought to Greece the alphabet from Phoenicia. From this learning supposedly sprang Greek civilization and with it the deterioration of the Golden Age of innocence. Known deposits of gold were widespread in antiquity. Ancient Egyptian production was so extensive that it approached a monopoly for several thousand years. Up to the first millennium B.C. virtually all gold production was under the control of the Pharaoh. During the early third millennium B.C., Egyptian merchants were exploring the east coast of Africa and the Arabian coasts. The now lost city of Punt was a trading center that offered gold and rare spices to the Egyptians. It is believed to be in what is now Somalia. The Egyptians established a gold mining colony in Mashonaland, inland from the mouth of the Zambezi River. Five treasure ships left Punt for Kosseir to bring the gold, myrrh and other treasures to Queen Hatshepsut. After 2000 B.C., the Twelfth Dynasty rulers pushed the frontiers south into Nibia and beyond the Second Cataract of the Nile. The vast gold deposits around the area were agressively explored and exploited. The gold fields in the mountains between the Nile and the Red Sea, near the area of the First Cataract on the Nile were also exploited by the Egyptians. The ancient historian Diodorus Siculs wrote an extensive manuscript describing these mines which have survived to modern times. The beginning of civilization developed with the beginning of agricultural settlements, which created a reliable food supply. Trade soon developed between settlements, but food could not be transported over long distances without loss to spoilage. Gold could be transported and soon became an acceptable medium of exchange. It had been a demand-commodity for centuries and was always in short supply. Small quantities of gold could be traded for supplies and for trade goods at the end of the trade route; yet, it did not require extra beasts of burden to transport a lot of wealth in gold. What was the source of the gold used in the earliest barter systems? History tells us that gold was the first recycled commodity in civilization. Gold from West Africa, Asia and Europe found its way to Egypt and was buried with the Pharaohs. 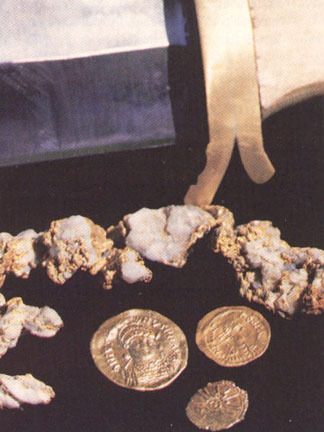 Gold from looted tombs was quickly melted down and mixed with other gold. By the fifth century B. C., the gold that was in the treasuries of the political powers was a melting pot of gold from all over the known world. A good example of this was the third millennium city of Ur, in Mesopotamia. The Ur culture stretched along the lower Euphrates Valley, about 2600 B.C., and consisted of many small city-states. The Tigris and Euphrates Valley had no native gold, yet a surprising amount of archaeological gold has been found there. It is believed that all this gold came from trade with other cultures such as the Samarians, Egyptians and peoples of central Asia. There was a lot of gold available from the Ural-Altai region of central Asia where alluvial gold had been worked since prehistoric times. Gold came by caravan from Arabia, west of present day Bahrein, from upper Yemen and from near Aden. Another source known to the ancient cultures was in the region of Midia, below the Gulf of ‘Aquaba. From Macedonia, gold came from the mines on the flanks of Mount Bermius. Another city-state was Alaca-Huyuk in central Turkey that supported a culture which buried gold with its kings. In 1935 a tell, or mound, was opened. It was a 2500 B.C. undisturbed royal necropolis. The tombs produced a fabulous treasure of finely worked gold from this Bronze Age culture. The city was at the center of three trade routes: to Mesopotamia, to the Black Sea, and to the Aegean Sea. Gold from all over the civilized world passed through this crossroads city-state, where the gold was mixed and smelted into the common melting pot of recycled gold. At Pylos, in Mycenae, gold was a rare commodity reserved for the ruling class. It was used to settle taxes and as a donation to the temples. It was also used to buy off potential raiders. Yet, within the kingdom, only tiny amounts of native gold were known to be produced. Gold in these cultures was a trade commodity, where even gold-poor kingdoms acquired enough gold through trade to support its use as a medium of exchange for the ruling classes. The use of standardized metal weights under government control was first introduced into Western Civilization at Sardis, capitol of the Lydian Empire, in what is now Turkey. By 700 B.C. Sardis was the center of trade in the area with trade routes stretching to Persia, Egypt, Greece, Assyria, and beyond. The Lydian culture stretched from the River Hylas to the Aegean Sea. Archaeological evidence shows that the first true coins in Western civilization were issued in Sardis about 640 B.C. by King Ardys. Small round ingots of electrum, found in alluvial deposits in the streams of nearby mountains, were minted with an incised square for the reverse and his totem animal, the fore part of a lion, for the obverse. This is confirmed in the writings of a fifth century B.C. Greek historian who credited the Lydians with striking the first electrum and gold coins. Electrum coins were outlawed by King Croesus (560-546 B.C.) and gold or silver coins were issued. Pure metal coins were necessary to encourage trade relations with Greece, where electrum was not found native in the alluvial deposits. The Greeks would not accept electrum coins in trade. The early source of the gold for coinage was gold mined from the alluvial deposits in Lydia and Greece. Thasos was a rich land south of Thrace that had prolific gold mines and a controlling interest in mainland silver mines during the sixth century B.C. In Greece, the right to issue coins was reserved for political authorities and heads of state. In 546 B.C. the Persians overran Lydia and adopted the use of coinage without changing the Lydian style or technology. However, they did bring a wealth of gold taken from Egypt. At their peak, they looted 40,000 pounds of gold a year from Egypt. This was mostly Ethiopian gold now melted into the Asian melting pot. The Persians also had their own gold supply. The Arabian shore of the Red Sea offered alluvial deposits so rich that the Greek historian Diodurus wrote that the alluvial mud positively glittered. Gold mines used to provide new gold to early mints were in operation at Phoenicia, Syria, Phrygia and Lampsacus. The river Oxus, known today as Amu Darya, which emptied into the Caspian Sea, was legendary to the Greeks for its alluvial gold. Meanwhile, Lampsacus, at the Dardanelles, issued electrum coinage in the fifth century B.C. and changed to gold in the fourth century B.C. to encourage trade with the Greeks. A primary Greek deposit of alluvial gold was the river Pactolus which drained the Anatolian Highlands. Today the exact location of the river is uncertain and the gold strata are no longer being eroded. It was the gold from these sources that King Croesus used to issue the first true coinage backed by his crown. Because Greece as a whole had inadequate gold resources to support an extensive gold coinage, silver, for the first time, became the medium of exchange and the gold to silver ratio was set at 1:13. A noted exception to the silver coinage was the issue by Athens of gold coins from 407 to 404 B.C. to pay for the Peloponnesian War. Philip I of Macedonia issued a prolific gold coinage after the conquest of northern Greece in 348 B.C. Philip II provided the Greeks with their first practical gold coinage from the gold mines at Thrace, Macedonia. So much gold became available that the ratio of gold to silver changed to 1:10. . Inflation had been introduced into civilization. Modern hindsight might well call this the fifth Horseman of the Apocalypse (after Death, War, Famine, and Pestilence). Alexander the Great increased the gold coin supply from bullion taken from the Persian treasuries. Gold was again being recycled and not all coinage was produced from gold mined for coinage. The first Roman gold came from the river Po in the western Alps and from southern Piedmont. Rome was slow to acquire vast amounts of gold and even forbade burial of gold with the deceased after 450 B.C. The Second Punic War gave Rome the prize that changed its gold position. The acquisition of Spain brought stupendous amounts of gold to Rome. Gold came from the mines and alluvial deposits in the Aduar Basin, the Malaga district, the Plains of Granada and the slopes of the Sierra Nevada Mountains. Gold is still found in these places today. Rome also got, from the treasuries of Syracuse, 2700 pounds of gold. Roman conquest brought gold to the Imperial treasury from the far reaches of the Empire. Gold was recycled to produce many of the gold coins issued during the time of the Roman Empire. Roman Imperial gold coins circulated far beyond the frontiers on a vast scale, making it the first world coinage. The coins most circulated were those of Augustus. The gold for these coins was mined, and the coins minted, on a large scale, at Lugdunum in Gaul and at Calagurris in northern Spain. There has been prolific gold mining at these sites since antiquity. Caesar provided another source of gold with the conquest of Britain. The geographer Strabo wrote that gold was one of the commodities exported to Rome after Caesar’s triumph in Britain. The Romans extracted gold from mines at Wales, Devon and Cornwall. The price of mining gold took a leap when the Romans developed hydraulic mining in the Spanish mines. Rivers were re-channeled and destroyed. Strabo wrote that this method produced more gold than the deep mines. Some of the Roman mines in Spain were 650 feet deep. Slaves in the mines never saw the light of day. The mines were worked until they collapsed on their inhabitants. Roman Egypt issued the first coinage in that ancient land. The first systematic mining and use of gold occurred in the Nile Valley, yet the Pharaohs did not issue a coinage apart from a very few and minor issues. After the death of Alexander the Great the Ptolemies became the ruling class in the land of the Pharaohs. They promptly issued a prolific coinage of heavy gold coins. As the influence of Rome expanded to include most of the known world, their sources of gold and their hunger for it expanded as well. Gold was taken from the Rhine River, from mines at Vercellae and from Transylvania. It was brought in trade from the Atlantic coast of central Africa, and from the sources of the Egyptians. Gold from all over the world flowed into Rome. The wealth of gold reached a point where massive statues of pure gold were displayed. The wife of Emperor Claudius, Agrippina, in A.D. 49, wore a tunic of plaited gold thread. She poisoned her husband five years later so that her son, Nero, could become emperor. Then Nero had her murdered five years later. All this Roman gold was scattered over Europe and Asia when the barbarian invaders sacked Rome. This sacking ended the systematic accumulation of gold on a large scale in Europe until after the Dark Ages. In a relatively short period of time, from 640 B.C. to the end of the Roman Empire, civilization saw the intense evolution in the use and value of gold and its use in coinage. The demand for it caused the development of mining techniques that vastly increased the availability. War and conquest produced a melting pot that recycled gold from all world sources into a common pot. Gold went from a possession of royalty to a medium of exchange available to the average citizens of the Roman Empire. The power of Rome was based in large part on the use of gold to extend its influence and culture across the known world. Gold, which is too soft to be used for weapons and tools, cannot help produce a food crop or heal the sick. It offered no practical benefit to ancient society beyond its possession, but had become the ultimate possession and measure of wealth of civilization. About Gold, What About Gold? Prior to American discoveries, Europe enjoyed the distinction of being the world’s largest producer and hoarder of gold. First it came from the areas of the Mediterranean and then from Africa. The 16th century brought Spanish explorers to search for gold in Central and South America. The looting of Aztec and Inca temples from Mexico to Peru followed, and more gold than the world had ever seen flowed back to Spain. South America had supplied most of the world’s gold until the early 1800’s. In 1513 the Caribbean island of Cuba became a Spanish stronghold in the Americas when gold was discovered. Mining continued for 20 years before supplies dwindled, sending gold seekers to other islands and eventually South America. Estimates range between 600-800 thousand ounces of gold recovered before fortune seekers moved on. America’s movement towards independence in the 1770’s brought England’s European rivals into the picture. Since we suffered from a shortage of gold, France, and Spain to a lesser degree, loaned the Colonies over $20 million in gold and silver. This eventually saved the independence movement, since our Continental dollars were not backed by gold. 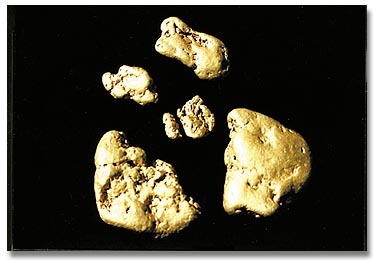 Our own first major gold discovery would not come until almost three decades later (1799) in North Carolina. Georgia gold was first discovered on Cherokee Indian territory in 1828, an area which later became known as Dahlonega (Indian name for “yellow money”). The federal government established a mint in the area in 1838 which produced gold coinage in excess of $6,000,000 until 1861. That year, with the advent of the Civil War, the mint at Dahlonega closed down its operations as Georgia withdrew from the Union. Even presidents find gold! Thomas Jefferson, third chief executive of these United States (1801-1809), reported finding a four pound rock-bound specimen that contained an ounce of gold. This was in his native Virginia, one of the first gold producing colonies. The California gold rush of 1849 was quickly followed by rushes to Australia in 1851, South Africa in 1886 and Alaska and Canada in the 1890’s. In less than half a century the world’s supply of gold had more than doubled. The first year of the California gold rush was not without its problems. Diseases ran rampant in many mining camps. Lack of sanitary facilities brought outbreaks of cholera and dysentery in the more crowded gold fields. A lack of fresh fruits and vegetables caused an ailment called scurvy in which there is a lack of vitamin C. The results were bleeding gums, loose and lost teeth, exhaustion and diarrhea. When physicians were called in to treat miners they often succumbed to “gold fever” and wound up ignoring their own health. Crime, surprisingly, was minimal. Theft was made virtually obsolete in the face of so much wealth just lying around in local rivers and streams. That changed, however, once the “pickings” got leaner and claims were disputed. 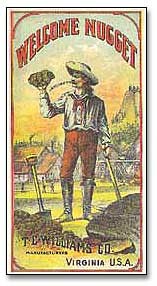 By the end of the first year of the 1849 California gold rush it is estimated that close to 100,000 individuals seeking their fortunes had made it to area diggings. They came from foreign lands as well. In fact 25% of all 49’ers were not Americans. They hailed from as far away as China, Australia, England and France. 1850 marked the year that the Foreign Miners Tax was evoked. Talk about discrimination–this tax of $20 a month was primarily aimed at Chinese and Mexican workers, but affected all foreign gold seekers as well. Due mostly to the protests of Irish, English and German miners, the fee was lowered to $4 monthly in early 1853. Many of the people who came from other lands during the gold rush to California did not necessarily come of their own free will! Australia emptied many of her overcrowded prisons and shipped criminals to America’s gold fields. Louis Napoleon, president of France, held a lottery in 1850 that would send the poor to California to seek their fortunes. This too was just a way of unloading undesirables, political enemies, prostitutes, etc., while lining his own pockets with the lottery proceeds. Sam Brannan will go down in the annals of history as an extraordinarily astute businessman. During the first year of the California gold rush, instead of heading to the newly discovered gold sites, he stayed behind to open several general stores. These were located in and around the area of Sutter’s mill and fort. They were stocked with all the provisions needed by miners in the field such as picks, shovels, pans, and food. at the fort is estimated to have grossed nearly $40,000 during the first four months. Most of his accepted payment was in gold and he amassed a fortune without ever putting a pan in water. Just ten short years after the discovery of gold at Sutter’s Mill, California had extracted more than half a billion dollars worth of gold. This was 35 times the amount the United States paid Mexico for the California Territories. At the start of the California gold rush there was no fixed price for the yellow metal. It was a supply and demand situation, with a fluctuating value between a low of $6 per ounce to a high of $18 per ounce. The price finally stabilized in 1854 at $16 per ounce with the opening of a branch of the United States Mint in San Francisco. Much has been written about all the silver that had been mined at Virginia City’s Comstock Lode, but it was gold that started that rush. In twenty years of mining, the major ore was silver (57%), but gold was second by only a small margin (43%). Placer deposits provided the earliest recoverable gold (nuggets in streams and rivers). Then men had to tunnel into the earth to extract lode deposits. Today it is deep (2,000 ft.) drillings in sedimentary limestone rock and epithermal deposits in ancient reefs that provide the gold. The earlier discoveries of sculptured and well defined nuggets are becoming harder to find with each passing decade, especially in higher weight categories. A one-ounce, high character nugget today is harder to find than a comparable five-carat diamond. Alaska first heard the cry of “gold” in 1896. The region was the Klondike in Canada’s Yukon Territory. It immediately shifted thousands of workers from productive salmon fishing and fur trapping and lured them to the gold fields. The bureau of Geological and Geophysical Survey estimates that Alaskan miners and prospectors are recovering around 150,000 ounces of placer gold annually. Goldfield, Nevada — the ghost town that wouldn’t die! Being rebuilt and recreated as a major tourist attraction, it had been in a state of arrested decay until recently. This meant that no further erosion of existing facilities would take place. Now, however, renovations and reconstruction are progressing at a record pace. Most recently, the attraction that has brought more visitors as well as gold seekers to the area is the report of a single discovery of a 1 1/4 ounce nugget in the area of the Goldfield Hotel on Columbia Street. In the early 1900’s, $90,000,000 in mineral wealth was unearthed in Goldfield, which is situated on Hwy. 95 between Reno and Las Vegas. Is a large single gold nugget find still possible? Judge for yourself! Jack Bray of Feysville, Australia unearthed a 267-ounce nugget dubbed the “Golden Aussie” in August of 1980. He sold his “monster” for $250,000. In 1983 at a large placer mining operation in Sierra Pelada, Brazil, a prospector unearthed a 137-pound nugget that fetched one million dollars on the open market. Latest U.S. finds: Carl Brunner, a 35-ounce “rock” found in the Wrangell mountains of Alaska. It assayed out at 75% gold in 1989. Also in 1989 at a mining operation in Montana a 27-ounce nugget, .900 fine in purity, was discovered by Arthur Fulmer… Yes, they are still out there! And let’s not forget the recent huge nugget find in California. A gigantic 60-pound chunk of gold was discovered near Jamestown by workers at the Sonora Mining Corp. The 60 pounder was nearly three feet in length and six inches thick. This big nugget has touched off a new rush to the area, just 200 miles from Sutter’s Mill, the site of the strike that started the 1849 California gold rush. Australia has had some giant nugget finds. There is, of course, the largest nugget ever found in that country, the “Welcome Stranger.” Discovered in 1869, it weighed an incredible 2,284 ounces. The “Golden Eagle,” unearthed in 1931, weighed in at 1,235 ounces. More recently was the “Golden Aussie” mentioned above. Australia was the first to apply names to its larger nugget finds. Most notably the Welcome Stranger, Hand of Faith, Little Hero and Poseidon come to mind. Several of these nuggets appeared, until recently, on Australia’s gold coins. If you want to see one of these spectacular nuggets up close, the 62 pound “Hand of Faith” nugget resides in the lobby of the Golden Nugget Casino in Las Vegas, purchased several years ago for one million dollars.